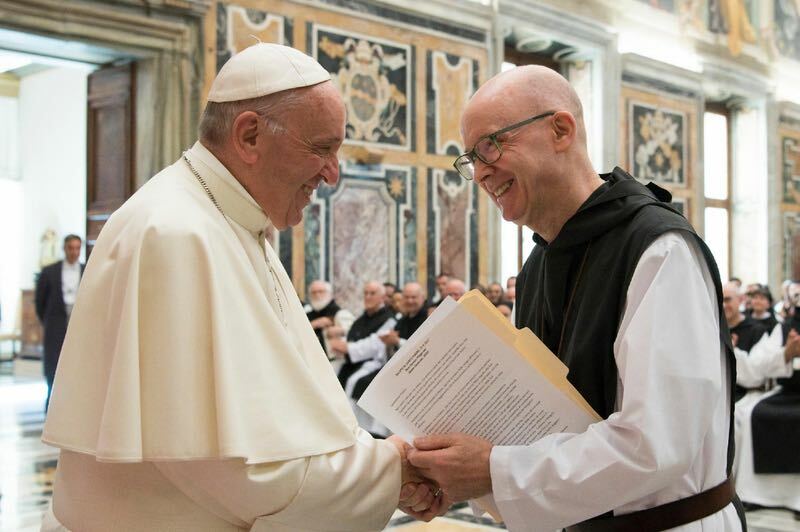 The Cistercian Order was founded in 1098 by Benedictine monks from the Abbey of Molesmes in France, who wished to return to the original simplicity of gospel living according to the Rule of Saint Benedict. The Order flourished, house of monks and nuns blossoming across Europe. We glean some idea of the vitality of the early years in the writings of the first generations of Cistercians and in the architectural simplicity and harmony of what now lie as ruins at Fountains and Rievaulx in Yorkshire and Tintern in the Wye Valley. From the outset Cistercian women formed an integral part of the Order. In Wales there were two monasteries of Cistercian women, or White Ladies, as they were often known because of their cowls of unbleached and undyed wool, at Llanllugan and Llanllyr. Both houses were suppressed in the 1530s. The first Solemn Profession of a Cistercian nun in Wales since the Reformation took place at Holy Cross Abbey, Whitland in August 2003. Monasteries of Nuns and Monks of the Order of Cistercians of the Strict Observance (OCSO) are found on all five continents and are also known as Trappists. There are three official languages of the Order, French, Spanish and English. For more information please visit the Order’s website www.ocso.org In the UK there is one house of Trappist Nuns, and four houses of Trappist Monks – on Caldey Island off Tenby Wales, in Leicestershire, East Lothian and Northern Ireland. Since 2014 the Order of monks and nuns has been officially recognised as one Order. The Order is monastic and contemplative, ‘Cistercian nuns seek God and follow Christ under a rule and an abbess in a stable community that is a school of mutual love’, (Constitution 3.1). The monastic vocation is a call to a life apart and yet immersed in a loving care for the earth and its people, a loving care that transcends time and space. The abbots and abbesses from every monastery come together every three years for the General Chapter, (Constitution 77). 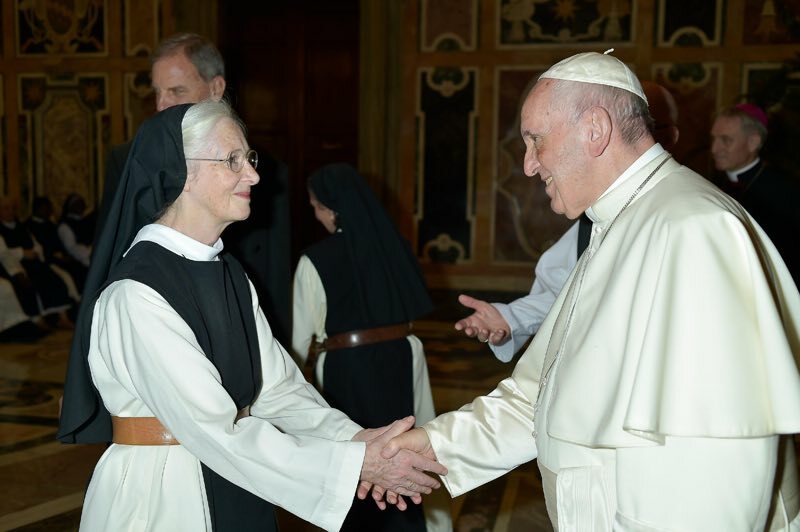 At the 2017 General Chapter there was a private audience with Pope Francis which was a grace filled meeting as shown by the talk given by Pope Francis to the Cistercian abbots and abbesses. The photos are of the Audience with Pope Francis after the talk (see PDF below). Dom Eamon Fitzgerald, Abbot General introduced each one by name to Pope Francis.